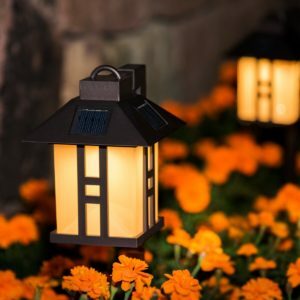 The best outdoor solar lights for your deck, garden, and porch are a great addition to your house. They make it possible for you, your family, and guests to enjoy all your backyard has to offer. However, no one wants to see hundreds of cords running all over the ground from electric lights. Plus, lights can draw a lot of electricity, making your electric bill skyrocket. 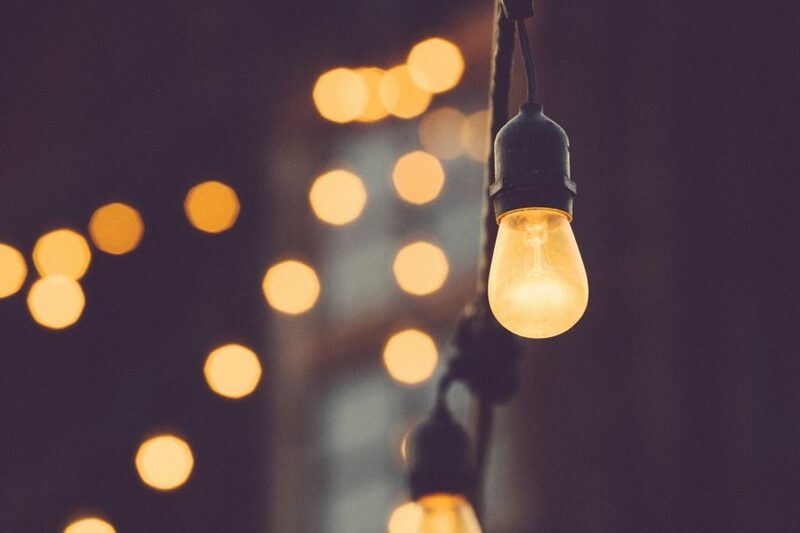 Thankfully, solar powered lights can recharge themselves during the day when the sun is out, making it possible for you to light up your awesome deck at night. In addition, you won't see any increase in your electric bill, at least not from these lights. They operate on their own rechargeable battery, instead of through the main power. You can rest easy by using these lights. Now, there are a lot of different brands and types of outdoor solar lights. We have gone through and choose the best outdoor solar lights there are. After walking in the dark for so long... Here are the best outdoor solar lights. 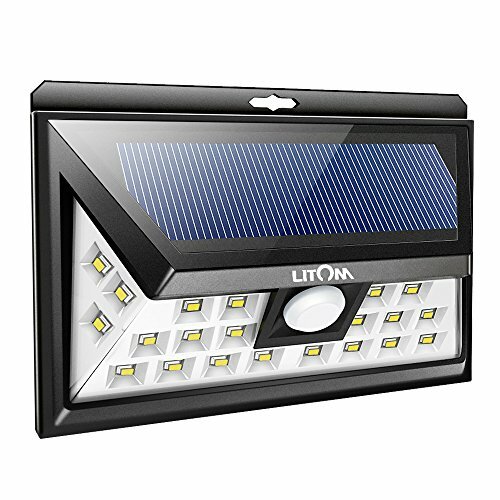 In the chart below, you will find our top 10 Best Outdoor Solar Lights. For a more in-depth review of each model, please click on "Read Review." After walking in the dark for so long.....Here are the best outdoor solar lights. 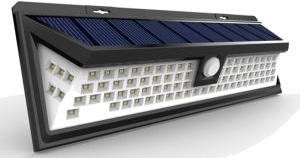 What Is an Outdoor Solar Light? Before solar powered light was a thing, people had no other choice than to go with hardwired lights. These were powered by the same energy course as the rest of your house. Nowadays, and for the last few years, solar lights have almost entirely replaced them. These lights have a solar panel on the top of them that allows the collection of sunlight. When night comes, they pop on and illuminate your space. For those who actually care about the science behind solar lights, it is quite simple. Photovoltaic cells are what absorb the sun’s rays during the day. Those cells convert the rays into usable energy which the rechargeable batteries then store. The photoresistor is what detects the presence of light. When there is not any sunlight, the outdoor lights will come on. Overall, the power comes from the control circuit board, which sends the power to the LEDs when the photoresistor indicates that there is no light. The best outdoor solar light will do all of this with ease and without much of a delay. The best outdoor solar light for you completely depends on what you want the lights for. Outdoor solar lights can be used for any number of applications. This includes solar lighting a pathway in your backyard, lighting a driveway, patio lighting, ambient lighting for your garden, security lights, door lights, and a whole lot more. 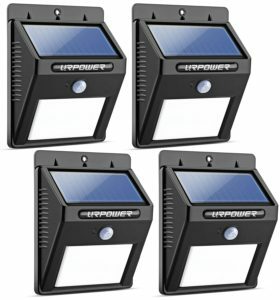 Each of these applications has a specific type of outdoor solar light that would best be suited for it. 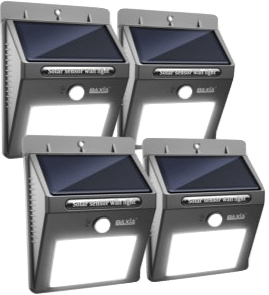 In addition to the specific applications of these outdoor solar lights, there are also various features that can be special to a specific type of light. There are motion sensors, wide angle lights, flood lights, narrow lights, and many more. When choosing your best outdoor solar lights, you will need to look at the features. If you want ambient lighting, you probably do not want them to be motion sensitive. It kind of defeats the purpose. These kinds of features will be very important to make note of. Read up on some of the outdoor solar lighting reviews that we have available here. By doing so, you will be able to educate yourself on all the different types of lights and find the best outdoor solar lights for you. Outdoor solar lights are a very cost effective and eco-friendly way to brighten up your garden or walkway. They have numerous advantages, like no running costs and low maintenance, but they also have some disadvantages as well. Some lights will be more of a hassle than a convenience. Before investing your money and time in a specific solar light, consider these factors to ensure that it is the right light for you. A major advantage of using outdoor solar lights is that they cost nothing to operate. This is the same for absolutely every solar light you may find. However, certain solar lights will be more expensive than others. Be careful when choosing a product that you are not spending more money on a product that will give you the exact same as a cheaper brand. When looking to buy your best outdoor solar lights, the reason behind the buy is extremely important. Of the three main types of lights available to you, each is made for a specific purpose. They are either for ambient lighting, small area lighting, or spot area lighting. If you want them for security landscape lighting, you do not want to buy ambient lights. Just like if you want path lights, you do not want to buy extremely bright floodlights. You need to consider the application of these lights. You would think that would not need to be said, but some people completely overlook that aspect. Depending on the type of outdoor solar light you buy, the installation will be different. Most, if not all, of the path light variants will just be a simple light on a stake that you need to shove in the ground. The security lights, on the other hand, will require a bit more complex installation. Of course, each type of solar light will have its own different installation process, so just be mindful of them. Some may be simpler than others. Also, some lights will have more powerful sensors than others. Meaning they will be able to absorb more sunlight under certain circumstances. Most solar lights will need to be installed in an area that allows adequate sunlight availability to function properly. So be sure you have open spaces for these lights. Most high-quality solar lights will not need a lot of maintenance. In fact, LED solar bulbs have a lifespan of up to 20,000 hours. The biggest thing to take into consideration is the rechargeable battery life. Some solar lights will have a bigger capacity battery than others. This means that you will not have to change the battery as often. However, this is a small inconvenience. The only other maintenance required for any solar light is a periodical wiping of the cell to get rid of any dust or dirt. 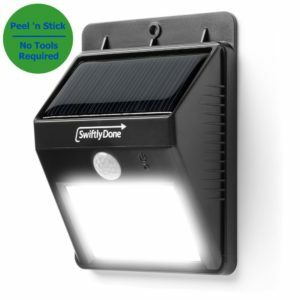 Some of the best outdoor solar lights even have a self-cleaning cell. By far, the biggest complaint among many people using solar lights is the brightness. Because they do not have the constant stream of power that the hardwired lights have, they tend to emit lower levels of light. However, you can find solar lights that have very bright bulbs. 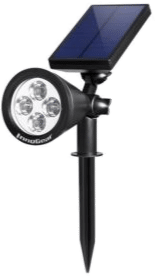 The brightness issue will not really be of importance when buying ambient or pathway lights as you will probably want them to be lower anyway. The issue is of more importance when looking for security or spotlights, as they are meant to be very bright. The best outdoor solar light for you completely depends on what you want to use it for. Whether it is for security, ambiance, spotlighting, path lighting, or a whole other reason. 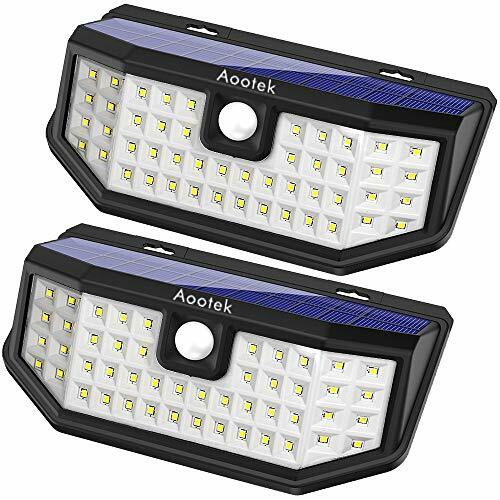 Overall, when looking to buy the best outdoor solar lights, they will be broken down into three main different types: path lights, ambient lights, and spotlights. Each of these has their own specific features which might make them the best choice for you over the other. These outdoor solar lights are fairly small lights on stakes, which allow them to be pushed into any soft ground. If you have a set pathway, these would be perfect there, as they do not take up a lot of space. However, they do tend to be much less bright than the standard electric path lights. Meaning you will probably need quite a few along your path to give you adequate light. However, they will be much cheaper to operate, which is the whole point. Also, you will not have to worry about having a bunch of cords running all over your backyard. These lights are meant to provide low levels of light to enhance the ambiance of your garden or outside area. They can come in any number of colors like brown or purple, depending on your taste. The styles include decorative lanterns, string lights, colored lights, and many more. Of course, these do not emit high levels of light, like the path lights, but that is kind of the point. They function very well when paired with solar path lights or placed along stairways. Here we come to the brightest solar landscape lighting. Spotlights are exactly what the name implies. They light up a specific spot on the ground or area. Depending on the size and shape of the spotlight, the brightness can be as equal as other electric lights. This is especially true when buying some of the newer brands. Solar spotlights are a great idea for adding some extra security to your house or for instant light for your backdoor or garage area. When looking for the best outdoor solar light, there are some features that will be common among all of them. Be sure to look for these features, as they will give you the best high-quality solar lights money can buy. LED bulbs. LEDs give very bright light for relatively low energy output. Also, they have a very long lifetime. Motion sensors for spotlights. These will give you instant bright light without having to physically turn on anything. Waterproof. This is sort of a necessity for outdoor lights. Simple installation. 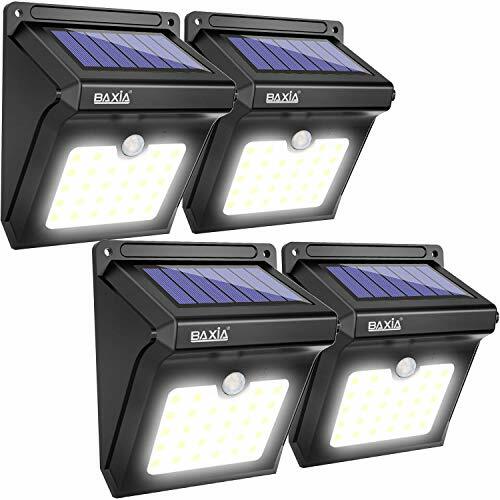 Most of the best outdoor solar lights will only need a few screws and that is it. 5 year solar panel lifespan. Various modes. They have the ability to switch between bright light, regular light, or ambient light. People tend to just go off of what they know. However, technology is always advancing. Many of the drawbacks of solar lights have since been solved. 1. 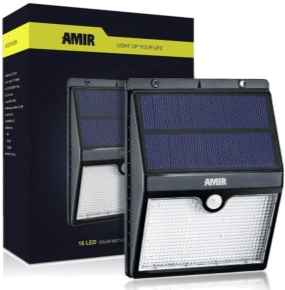 Are solar lights expensive? Yes and no. There are very expensive brands that are available. However, the top 10 we have featured are all under $50. Some even come in packs of 2 or 4. Even if you do end up buying a more expensive light, the savings from not having hardwired lights will make up for it. 2. What if I do not get much direct sunlight? Many people completely disregard solar lights because they have limited direct sunlight hitting the area they want the lights. However, unless you are wanting to light completely in the shade of a tree, this is no longer a concern. Solar technology has advanced greatly in the recent years. Modern, high-efficiency solar panels and low energy LEDs are able to make use of every ray of sunshine. You can even condition your solar lights to be highly functional in the winter months. 3. 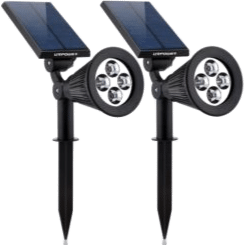 How much maintenance is required for outdoor solar lights? Solar panels need very little keep up. All of the components are self-contained meaning there is no need to clean anything. The only thing you may have to do is wipe the panel of dust or dirt every so often. The best outdoor solar lights are also water and heatproof, so no need to worry about them in high rains or heat. ​4. Will I really save that much? Lighting is one of the biggest sources of your electric bill. Incandescent bulbs and CFLs are highly inefficient. LEDs are about to give the same, if not more, light using nearly 1/3 of the energy. In addition, these outdoor solar lights are completely self-powered. There is no need to plug them into your main power. That eliminates a chunk of your electric needs. Take a look at how much switching to 100 percent solar power could save you. 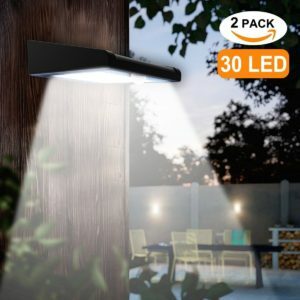 Whatever the intended use for these outdoor solar lights, you can rest assured that you are getting your money's worth. Self-sustaining: You do not need to worry about plugging them in anywhere. They charge by the sun during the day and automatically come on at night. No need to flip a switch or unplug anything to save energy. They are already saving you a ton on your electric bill. Versatile: Many of these solar lights have multiple uses. They can take on the role of ambient lighting, or pathway lighting. Some can do all three. In addition, some even have the ability to be either stuck in the ground or mounted on a wall. Whatever your intended use for these lights, they can handle it. They can also be put basically anywhere you want, as long as there is a decent access to sunlight. Really, you can put them at whatever angle or location you want. Get creative! Eco-friendly: Since they are not hardwired into your electric supply, there is no extra energy being spent on these lights. Meaning you can easily lower your carbon footprint while helping your wallet. Here are some articles that answer the most popular questions about solar power and other renewable resources. I have shown you the brightest solar landscape lights, the best solar garden lights, the best solar walkway lights, and everything there is about them. Hopefully, with this information, you can choose the best outdoor solar lights for you and your needs. Be sure to check out the individual reviews for each solar light we have featured here.